Last week, Nicole from The Ordinary Radicals documentary came to Wilmington to meet Herman. She also talked with me and Ben about the homeless scene here – she wanted to hear the Herman’s Bridge story first hand. Earlier this spring, Ben and I had the chance to go to Kensington, Philadelphia to have lunch with Jamie Moffett. 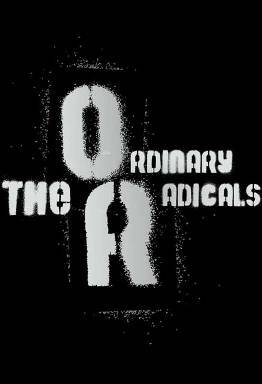 Jamie is the director of The Ordinary Radicals documentary. Both Jamie and Nicole are working hard to tell an important story. Nicole wrote an excellent blog entry about her day in Wilmington – check it out and leave a comment on The Oridinary Radicals blog. Check out their documentary info and other resources too. This past week I went down to Wilmington, DE to meet with Terry and Ben to interview them for The Ordinary Radicals Documentary. Ben and Terry do not get much more ordinary as people. They are both married, go to church, and hold big business jobs. They were living their suburban lives as usual when knowledge hit them like a bus out of nowhere. Forcing them, as it did me, out into the world to do small, seemingly insignificant things. Things like taking the homeless and hungry out to share a meal with them. It was this small action that birthed a close friendship with many that our society shuns. One of these beautiful friendships is with a guy named Herman, who I also had the chance to meet.